A recent released great looking lavender pink New Zealand Siberian registration that shows good form. Bev and Noel Lapham from Mossburn Iris Garden recently informed me "'Ernie's Pink' was given to us by the late Ernie Davis, grown from seed gifted to him and the parentage is unknown. It is much admired by visitors to our garden so we decided to register it in his memory." Available exclusively from Mossburn Iris Gardens so make sure this variety is on your order list for an April delivery. Big hat tip to Bev Lapham for the photo and information. Photo copyright Mossburn Iris Gardens. Tall bearded Iris" HARBOR BLUE"
This iris is apparently taller than Tom Cruise, and much taller than a Hobbit. Grows 1.4 metres 55" at home, "Harbor Blue" sure packs a punch at the back of the border. It is the tall and imposing child of ‘Jane Phillips,’blooms are a clear and attractive medium self blue, smooth in finish and beautifully formed, consistently open properly and fully on strong tall and well branched stems. Very vigorous growth. True beauty in an Iris demands that if the bloom is unusually large all the other virtues of the flower must also be increased. 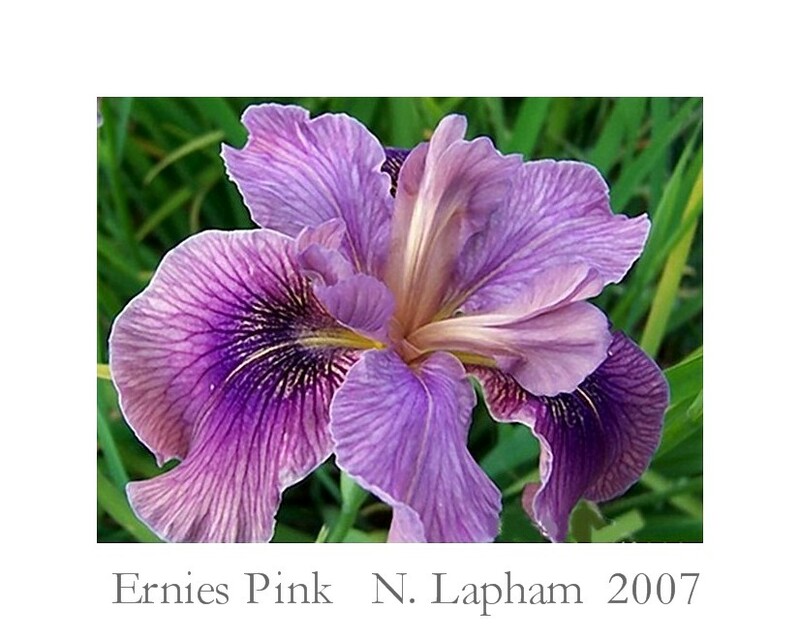 This is the reason why so very few extra large irises are really beautiful, in fact Harbor Blue is the only exceptionally large Iris we personally rate very high. But here we have a player whose great sizes balanced by very broad vigorous foliage, very tall, stout, and well Branch stems and in the flowers, by very broad and fluted petals, extra good substance, and intense colour. 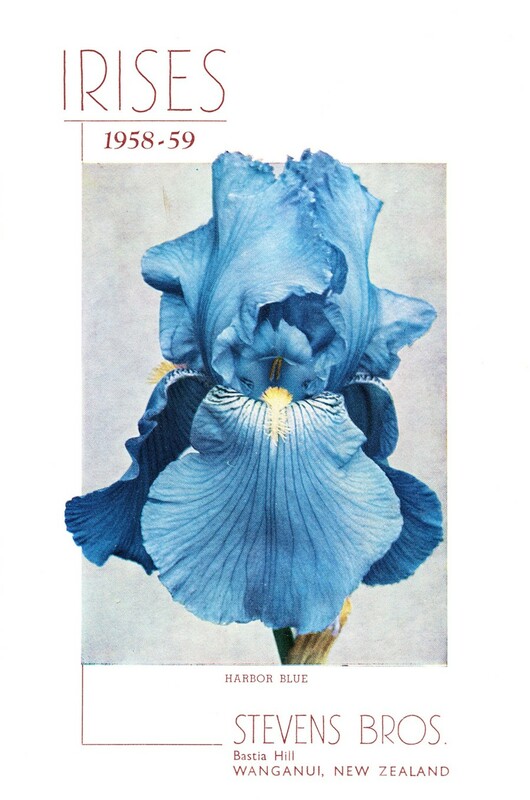 Winner of the Romney Towndrow Memorial for the Iris with the finest form in England in 1955, this is the flower we have illustrated on our cover. Blue irises are notoriously difficult to photograph and the camera has failed here to bring to life the pellucid quality of the blue colour, which is soft, yet clean and intense. Award of Merit, A.I.S. 1957. 4ft. HARBOR BLUE Like the pellucid sapphire of a Bermuda harbor at sunset when the wind is stilled is this magnificent derivative of three famous inbred blues: Chivalry, Distance and Jane Phillips. We have raised innumerable blue seedlings from the finest possible blood lines but never before were greeted with such progress as this seedling reveals. 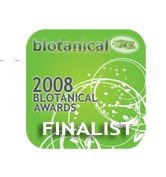 Hybrid vigor gives it bamboo-type stems and flawless branching plus a leatheriness of substance that make it practically wind and weather proof. The soul of the flower lover is perennially hungry for soul-satisfying blues and here is one which in massive size, lavish form, glossy texture, richness and exquisiteness of hue, plus freedom form lavender really lifts the heart. A trans-mundane beauty that is truly inspiring in the clump. How can your garden be without it? Iris Show held on 8th and 9th June 1955, Royal Horticultural Society New Hall, Grey Coat Street, Westminster. The Josephine Romney Towndrow Trophy for, "The iris of best form of the year" was awarded to HARBOR BLUE, raised by Robert Schreiner (USA) and exhibited by H.C. Fletcher. 'Harbor Blue' (R. Schreiner, R. 1954) TB, 40" (102 cm), M-L. Self, light blue. 'Jane Phillips' x 'Quicksilver'. Schreiner 1954. HM 1955; AM 1957; AM, RHS, 1958.